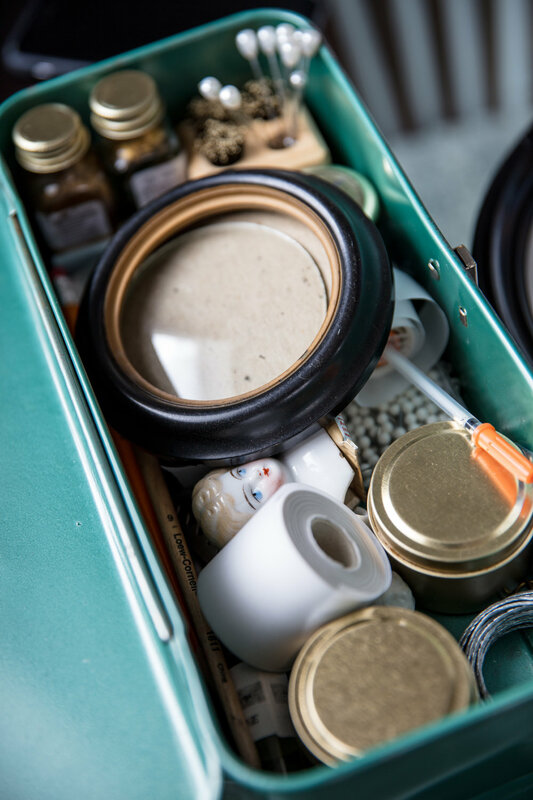 We originally met botanical artist Lonna Lopez when she was a co-owner of the Oakland-based floral and curiosities shop Crimson Horticultural Rarities in the hip, tucked-away location of Temescal Alley. My wife Jill (who never spends a dime on herself) was immediately drawn to Lonna's signature, one-of-a-kind butterfly art pieces which she mounts in ornate art nouveau vintage frames. Over the years after first seeing Lonna's work, we have since purchased and even commissioned multiple pieces of her entomological art. After months of trying to sync schedules and availability, we were finally able to catch up with Lonna and have a portrait session with her doing what she does best, creating incredible works of art from natural and reclaimed objects. Passionate and sharing of her work and process, Lonna welcomed my photo crew and myself into her home where we all "geeked out" on butterflies, moths, and how her art creations as well as her passion came to be. Similar to her personality, Lonna's home studio is quirky, eclectic, full of character and charm, and it is easy to see how she stays inspired to breathe second life into her collection of inanimate objects as art. You won't catch Lonna in the backyard catching insects with a net, instead she ethically sources her butterflies, moths and other insect specimens. They usually come from South American farms that raise the insects in their homeland for fair trade wages. Lonna states "This helps indigenous people use their land without having to clear cut the forest down to make money. 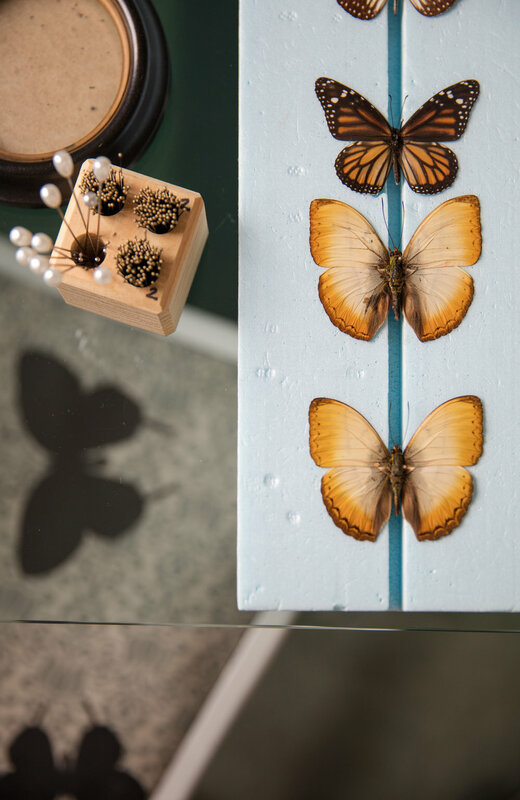 It also gives the butterflies a safe living environment and after the butterflies or moths have died, the specimens are sold to collectors around the world". Kudos to you Lonna for being methodical and mindful of the art that you create. Q: Do you have a memory of when you first fell in love with butterflies/moths? A: I first became interested in butterflies and moths in my mid 20's. I was really into reading Nabokov books and he was a Lepidopterist (someone who studies butterflies and moths). 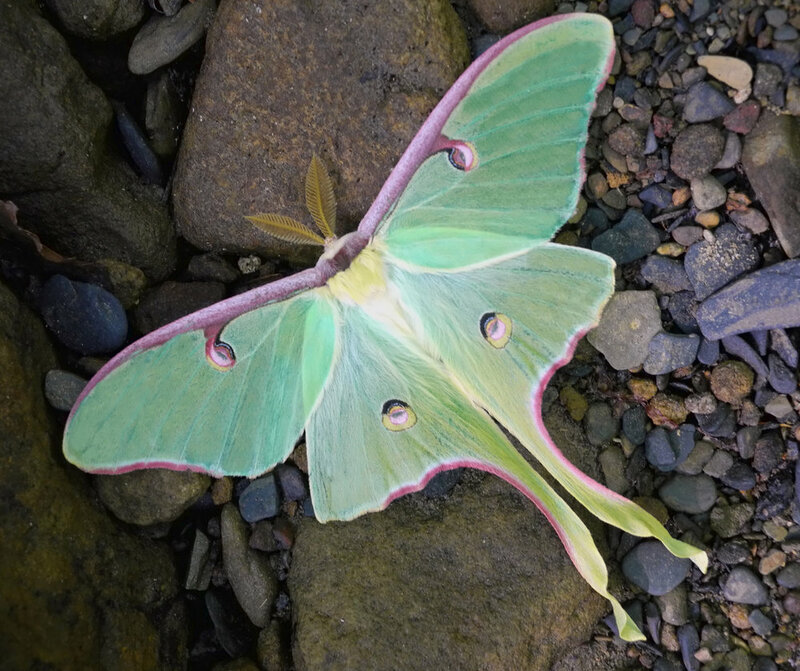 I read some of his non-fiction books and a book about him as a Lepidopterist and the species of butterflies that were his specialty, and I got really curious and interested in them as more than something beautiful to look at. Another author that I love, A.S. Byatt, writes with butterflies and other insects in a couple of my favorite books by her, Angels and Insects and The Children's Book. The Children's Book also got me thinking about using the background of the Art Nouveau wallpaper, as it was set during the turn of the last century when people were really into Art Nouveau, back to nature and cataloging insects and other ephemera. Q: If your favorite plant and favorite butterfly made a love child, what would it look like? Draw a quick picture. A: It's so hard for me to pick a favorite plant, but I do have a favorite insect, which sort of looks like it's mixed with a plant. Me drawing it is not going to do it justice, so you might as well use an actual picture. Q: Do you think plants and butterflies have similar music tastes? What genre? A: Yes, I would assume that plants and insects probably have similar music taste! LOL! Something like Henry Mancini, Frank Sinatra, Miles Davis or Billie Holliday!? Q: If you were reincarnated, what would you come back as? A: If I am reincarnated, I want to come back as a sloth. I'd like to chill out for my next life time, this one is entirely too busy.